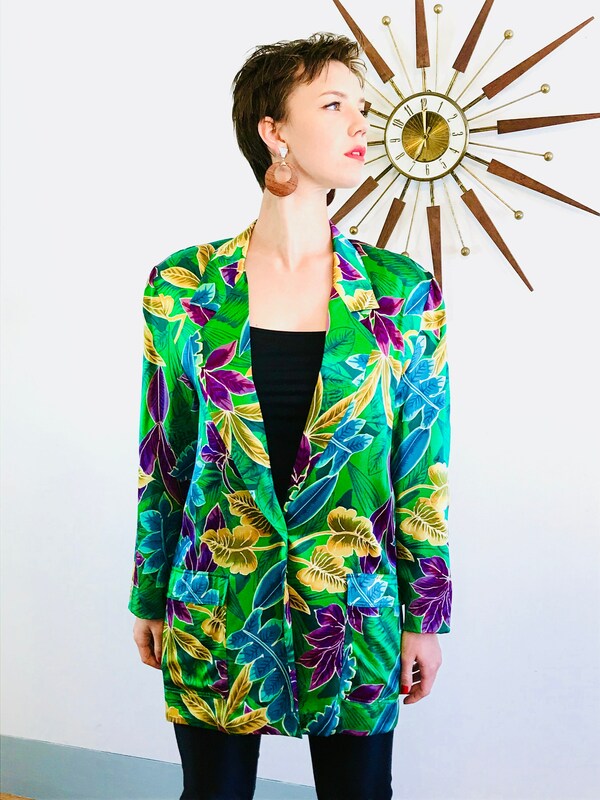 OMG this late 80s, early 90s SILK Jungle blazer!!! 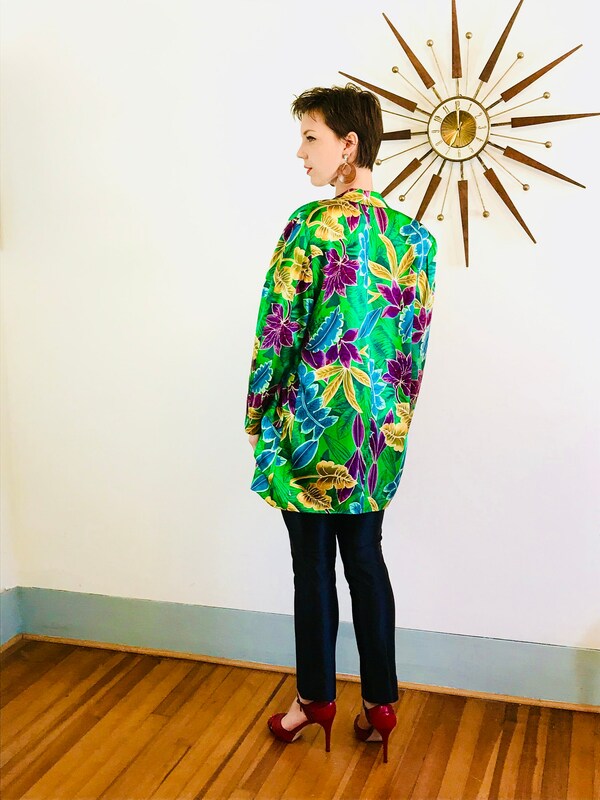 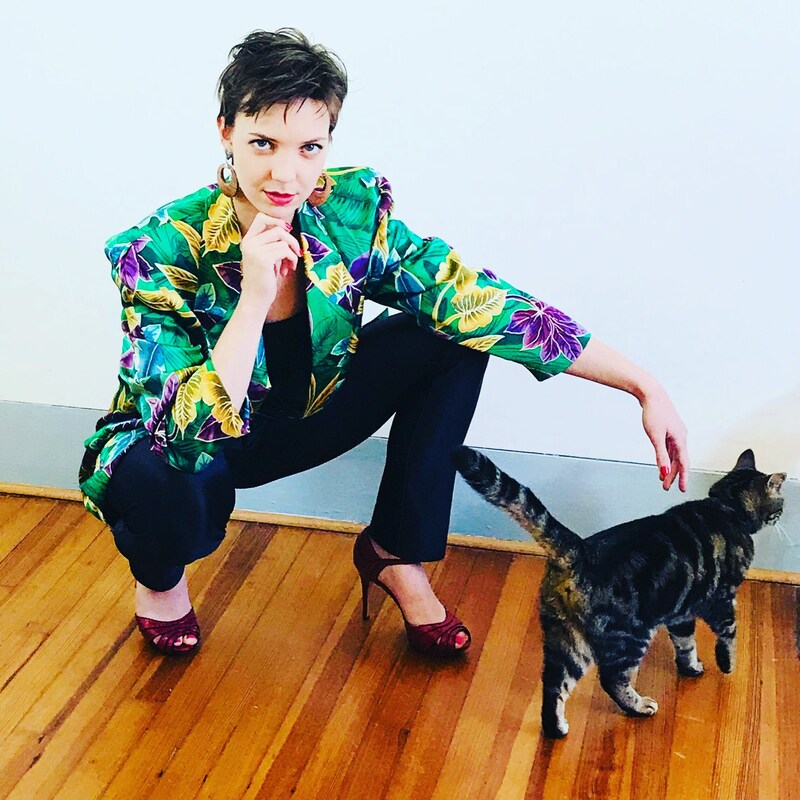 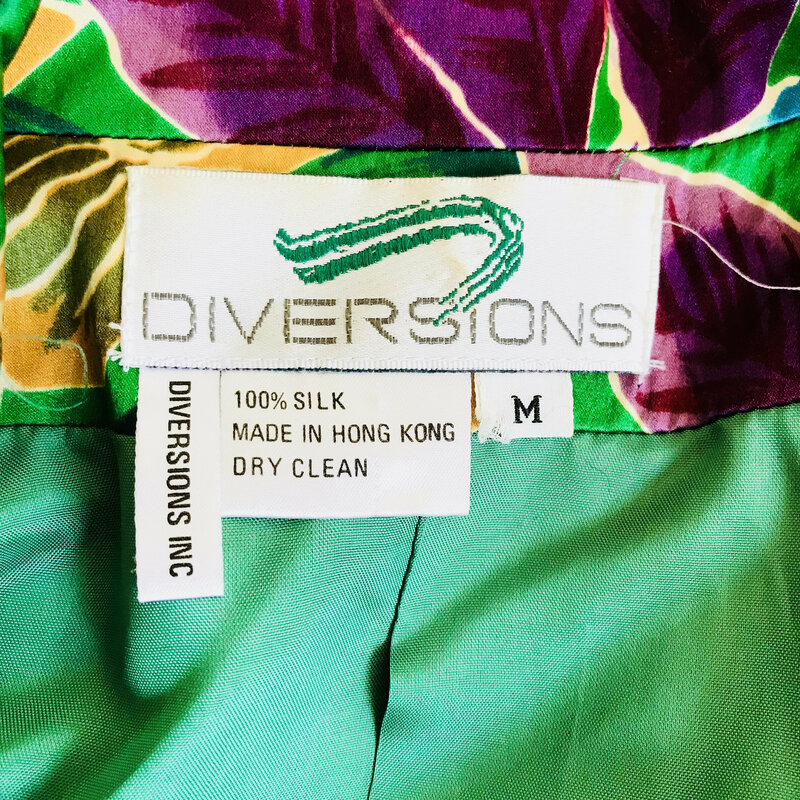 This green tropical print jacket is by Diversions Inc, and is so amazing! 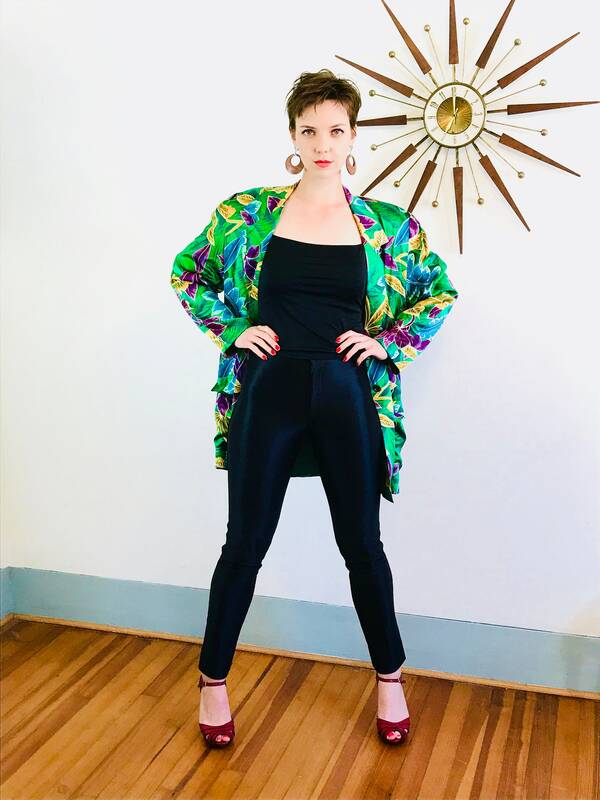 This boxy 80s ladies blazer has huge shoulder pads, two front pockets and one front button. 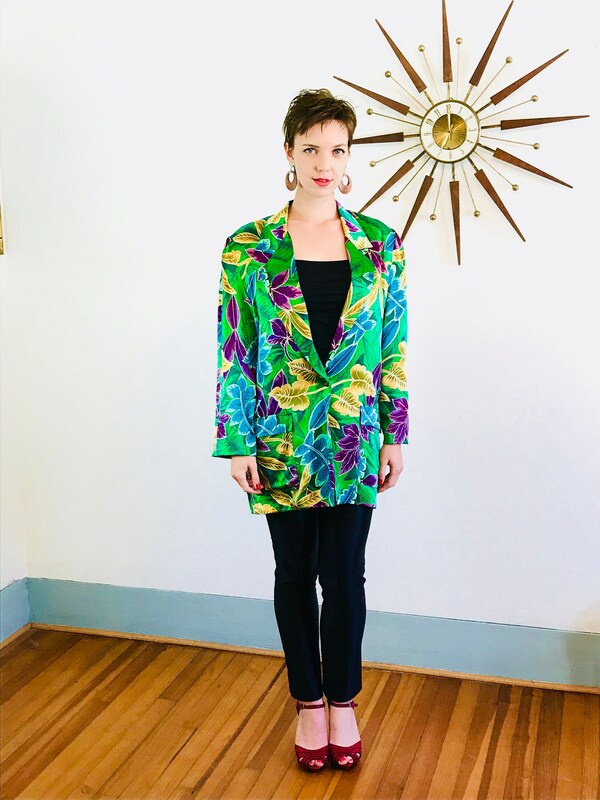 This 100% Silk jacket has that perfect oversized 1980s look with its huge shoulder pads, and its long and straight boxy cut! 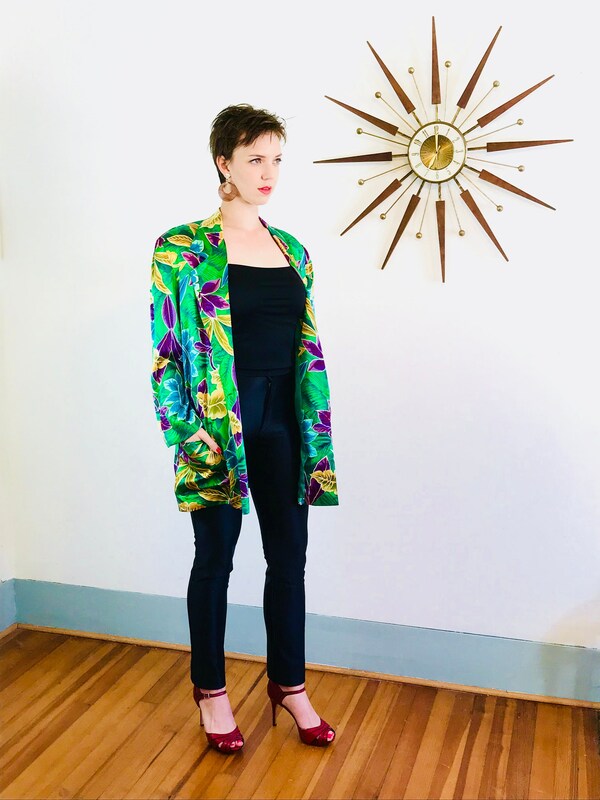 Just imagine all the complements and conversations you will have wearing this jacket! 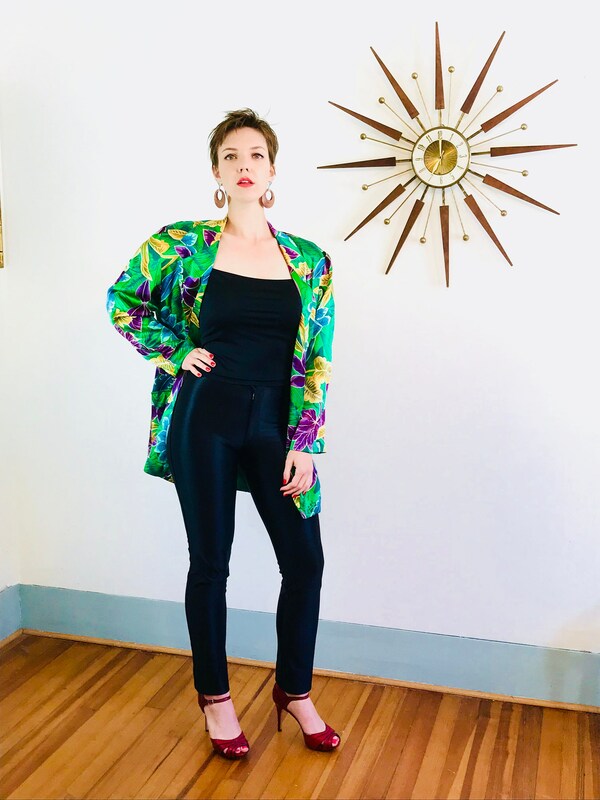 Such a great statement piece! 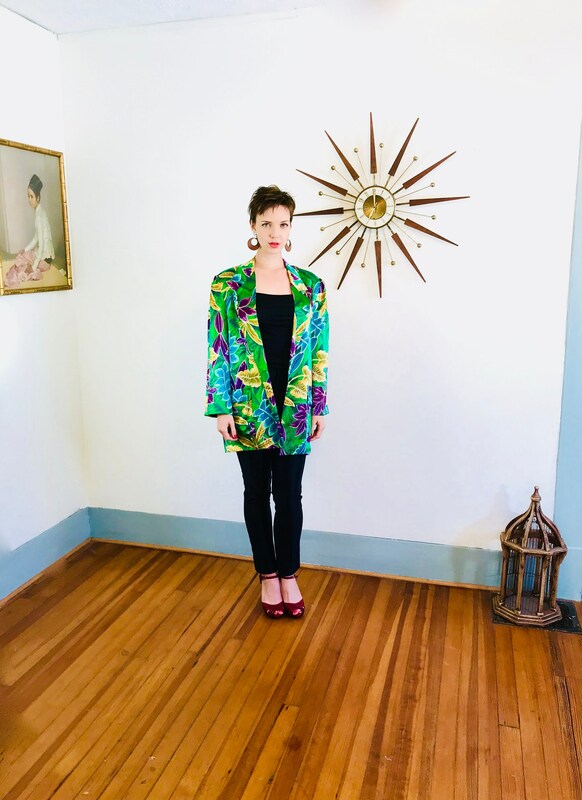 To have a one of a kind... that is the magic of vintage! 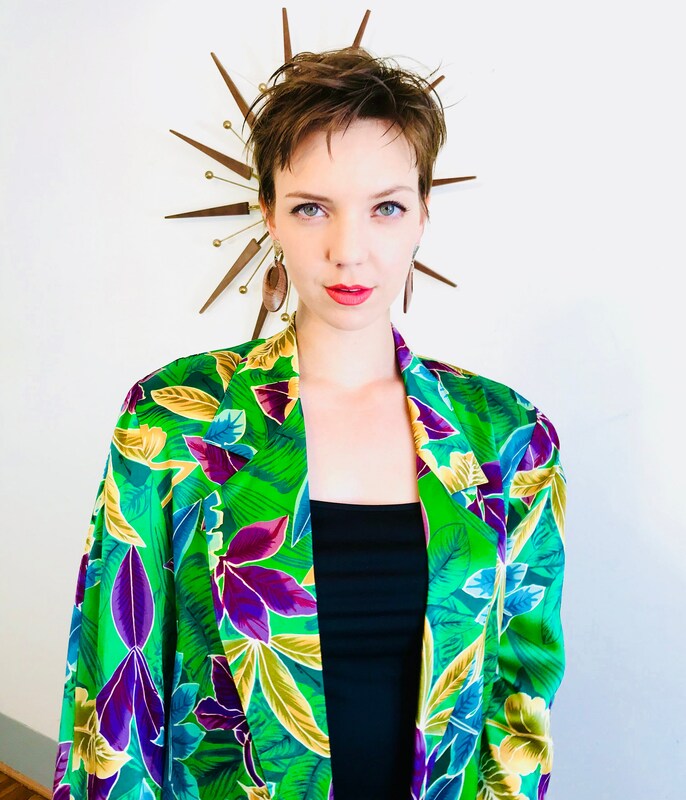 Models Measurements: bust:34", waist:27", hips:38", height:5'9"